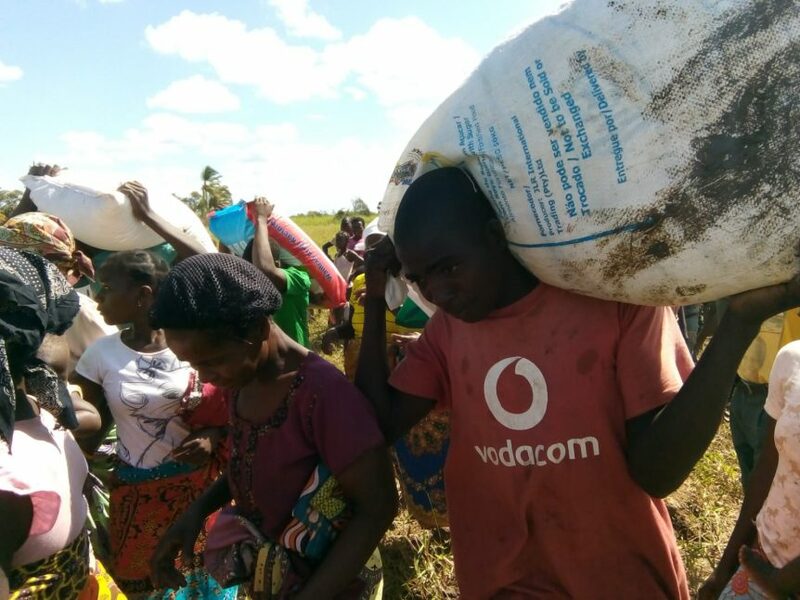 Three weeks ago the tropical Cyclone Idai made landfall near Beira City, in central Mozambique. Much of the initial relief phase is coming to an end. Officially the total death toll stands at around 700 with over 2,500 people injured, but many people are still missing. Over 146,000 people have been displaced. A massive cholera vaccination program is taking place at this very moment. Slowly but surely all affected regions are being reached. The RescueNet team has been reaching two villages over the past few days which hadn’t been reached yet. In the village of Bandua the team did a needs assessment with the head of that community and ran a makeshift medical clinic for a few hours. Our team also did kids work in a school building on site, helping the kids to process what they had experienced. Another small village named Crumawe, surrounded by water, received our team very warmly. The locals built shelter as protection from the sun for our crew, as soon as they got their medical equipment out of their bags. This village was in desperate need of help, since no aid had gone there yet. The team could arrange a food drop that afternoon, with the same helicopter that was returning to pick them up. The food the village had before this would have run out a day later. Another part of the team, who had been working in a clinic in the Niampoca area, was able to hand over the work to local health workers. After running their local clinic for a number of days, the local workers were ready again to take responsibility for the clinic and serve their own community. Friday was the last day of operations, for this Mozambique deployment. The team is debriefing on Saturday and is bringing official closure to this two weeks of relief effort. The RescueNet community is thankful for the possibilities that opened up to demonstrate God’s love in very tangible ways to people and communities that are suffering. The team in Mozambique is also very thankful for the good connections they had with the lead agency (OCHA,) the Ministry of Health, and the WHO, who coordinated the medical response, and for those who helped with the transportation, the translators and others who made this deployment a success.